3 Bedroom / 2 Bath / 2,107 sq. ft. 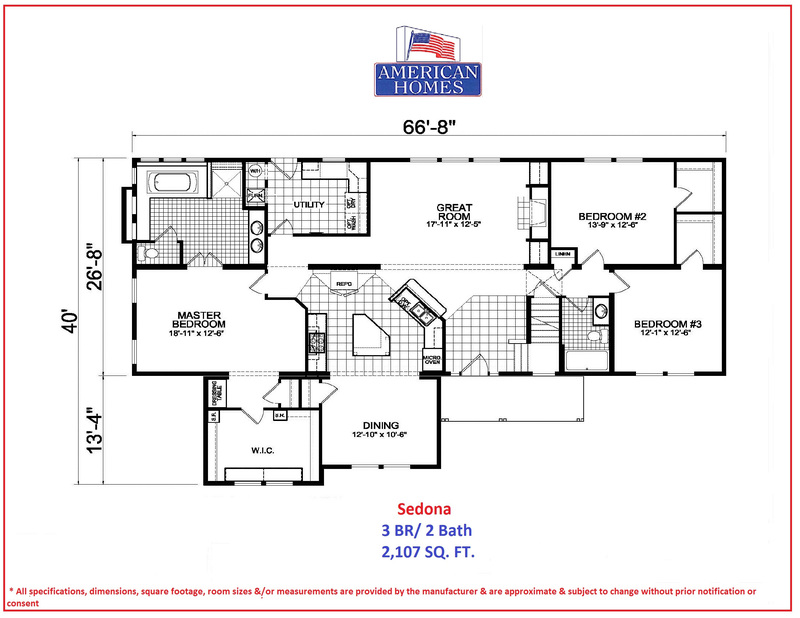 The Sedona is a 3+ bedroom 2 bath home sporting a noteworthy exterior. Designed for family living, this home features an open floor plan with a beautiful fireplace highlighting the living room. Rich cabinetry with plenty of storage and stainless steel appliance package makes this gourmet kitchen unique. Dine in comfort in the attached dining area complete with tin ceiling. The impeccable master suite is a real showpiece. Relax in spa like surroundings of the deep soaking tub while watching the flickering fireplace or your favorite tv show. The huge walk- in closet keeps you organized in style with a window seat over storage and built in shelving units. Even the utility room is designed to keep your home running smoothly.